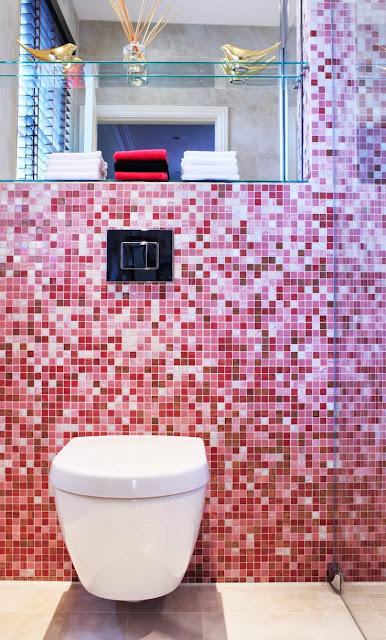 Whenever you heard someone had a pink bathroom you'd scream in horror "Oh poor you! 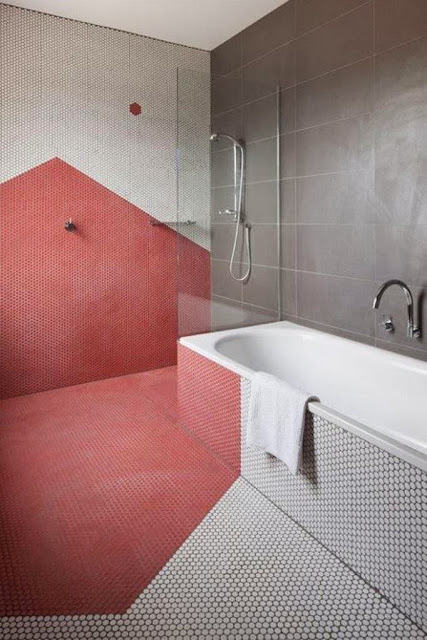 When are you going to get it redone?" 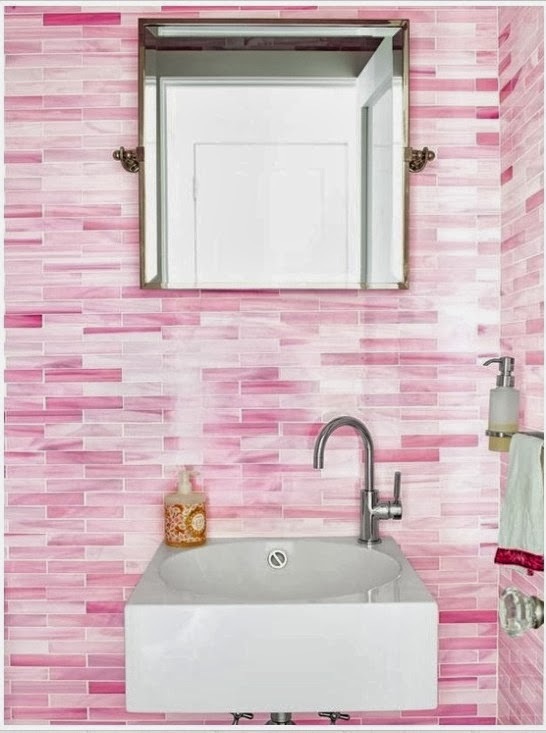 I don't think anyone will want to renovate these pretty pink bathrooms. They are just too stunning. 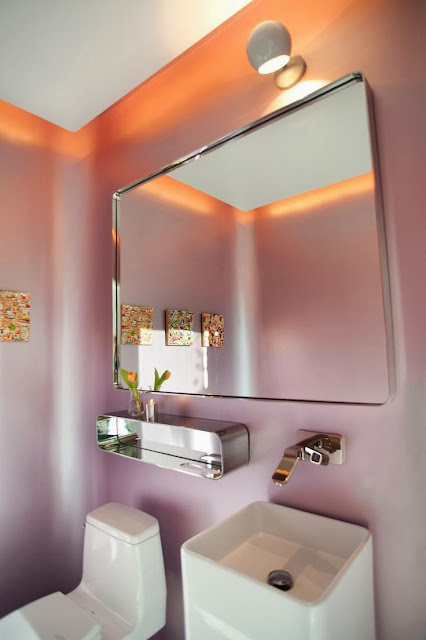 All these bathrooms look vibrant, fun and fresh and dare I say not too girly. 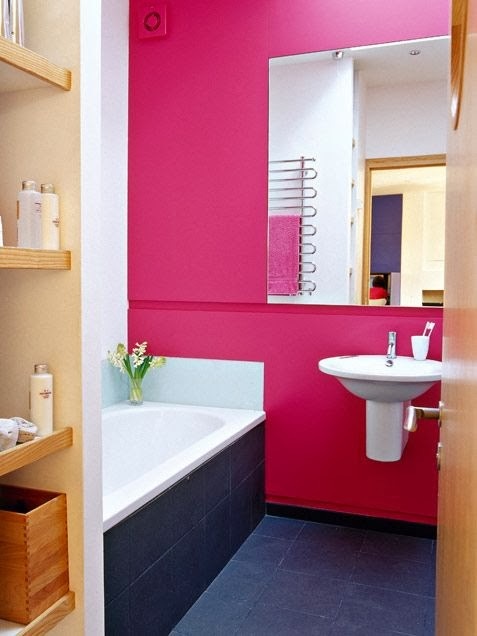 I think guys wouldn't mind brushing their teeth in these pink bathrooms either, after all back in the day boys were the ones dressed in pink and girls in blue. 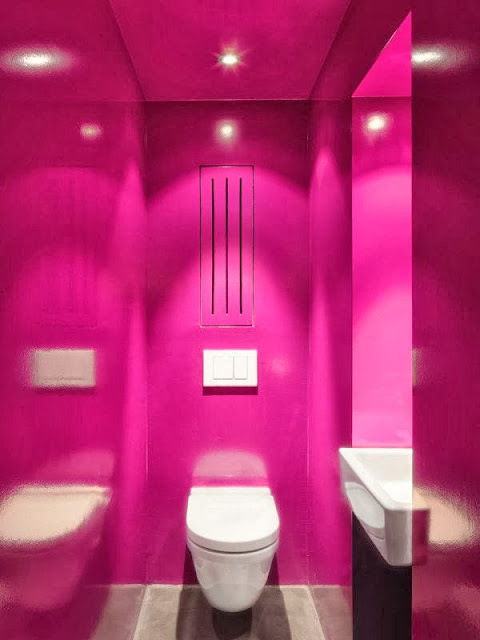 So since pink is the color for the month of October lets take a peek at some smashing pink bathrooms. 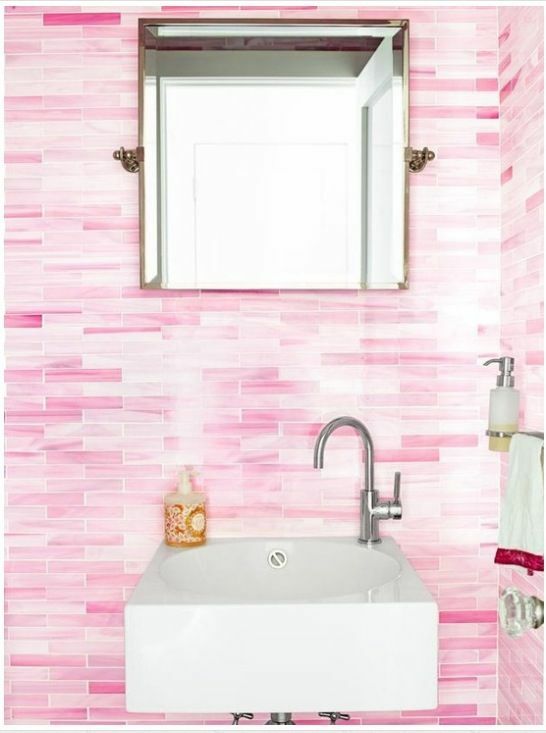 I'm sure you'll be tickled pink and dreaming of one of your own. I know I am! 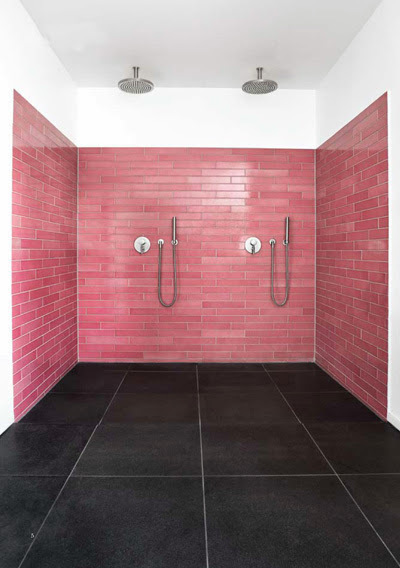 I'd just love to have a little powderroom tiled in these gorgeous pink tiles bellow. 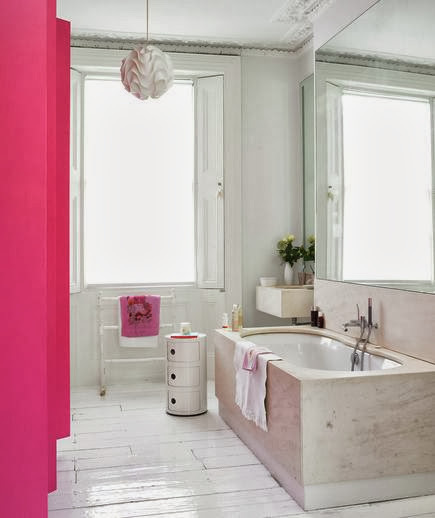 Want to see more pink bathrooms? 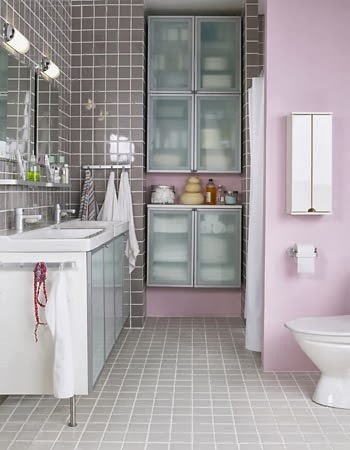 Think it's time the pink bathroom made a comeback?